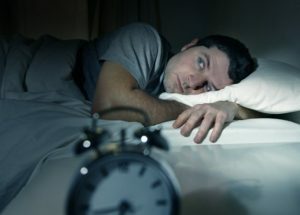 The most obvious consequence of leaving sleep apnea untreated is getting a poor night’s sleep. Since sleep apnea forcefully wakes you in the middle of the night, you never achieve the stage of sleep known as REM sleep. This stage is necessary for your body to recharge and be prepared for the following day. It also helps you retain information that you learned that previous day. People who have sleep apnea are generally more likely to run into issues at their job as well. According to a study from the American Academy of Sleep Medicine, undiagnosed sleep apnea costs the United States $87 billion in lost productivity a year. Furthermore, if you commute to work or drive as part of your job, not having sufficient sleep can put yourself and others around you in danger. The same report states that $26.2 billion worth of damages from motor accidents and $6.5 billion in workplace accidents was recorded. Thankfully, your sleep apnea in Calimesa can be treated by your dentist. While traditional methods of sleep apnea treatment involved the bulky and not very user-friendly CPAP machine, your dentist offers another solution. Your dentist offers an oral appliance known as a “snoreguard” that works to reduce the symptoms associated with sleep apnea. The device works by comfortably repositioning your jaw during sleep, preventing the airway from being blocked by your tongue or soft palate. Many patients report having better sleep after a few days of use, so there’s no reason to wait. If you haven’t gotten your sleep apnea treated yet, there’s still time to take back your night’s sleep. Schedule an appointment with your dentist today to learn more about the treatment! Dr. Scott Parker earned his Doctor of Dental Surgery degree from Loma Linda University. Today, he’s a member of the ADA, the Tri-County Dental Society, and the California Dental Association. To learn more about his oral appliances for sleep apnea and practice, contact him at (909) 795-6019 or visit his website.